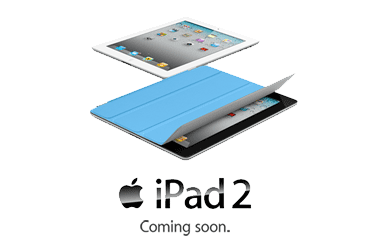 We’re just a few weeks away from the launch of the Apple iPad 2 and the networks are starting to come out of the woodwork. The first is Vodafone. Vodafone have opened up their web registration for the iPad 2 launch – it’s the 25th March just in case you have forgotten or live on another planet. Vodafone will supply the Wi-Fi + 3G model and will be offering dedicated iPad 2 price plans. Orange said back on the 4th of March that it would be offering the iPad 2 with Wi-Fi + 3G and dedicated data plans for iPad 2 but hasn’t yet set up a pre-registration page, nor has partner in the terribly named Everything Everywhere T-Mobile.